Blackberry 8300 coming to AT&T May 25? | BlackBerry Blast! BlackBerry Blast! > News > Blackberry 8300 coming to AT&T May 25? Blackberry 8300 coming to AT&T May 25? 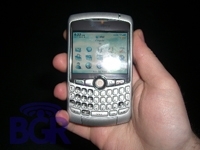 Rumors are flying about a possible release date for the Blackberry 8300 on AT&T. engadget mobile is reporting that a source has told them that May 25 is the tentative release date for the Blackberry 8300 on AT&T. Their source has claimed to have seen an internal AT&T web site with the details. Is this just a rumor or will the May 25 date turn out to be true. Stay tuned.